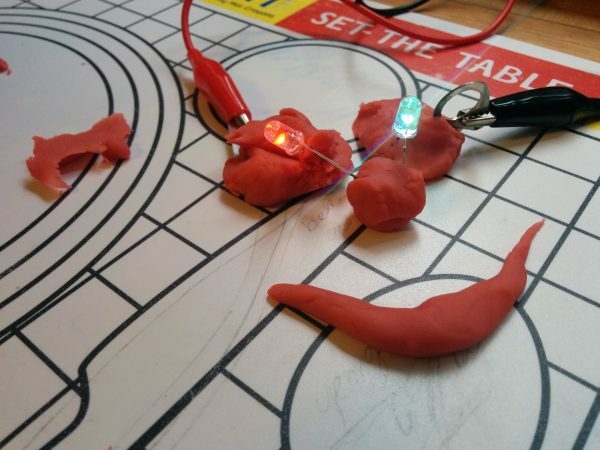 Squishy Circuits Lab : Learn about circuits as you play with Playdoh! 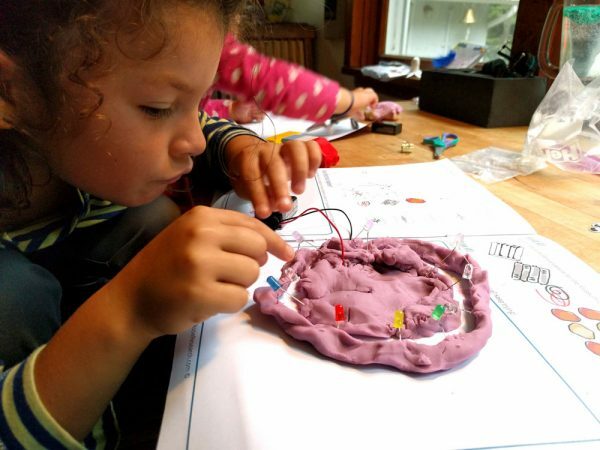 In this lab we are running, jumping, squishing, and building some seriously awesome squishy circuits. So tie up your running shoes and get ready to race our chemistry professor, Tron, around an electrifying obstacle course while learning the basics of electrical engineering. Our lab book includes fun cut and paste circuits and dot to dot circuits to engage the crafty types, but the star of the show is the squishy circuit activities. You will learn how to cook up conducting dough, shape it into whatever your heart desires and light it up with color changing LEDs! We also have tons of fun add-on activities to help kids dig deeper to find just the right level for them. From light up cards to bioluminescent animals and even defeating the dark side with a homemade light saber – this month is bursting at the seams with fun. You can download our labs piecemeal here, or become a Patron to never miss out on the newest Rosie Lab mystery! Need supplies? Get our squishy circuits kit today! 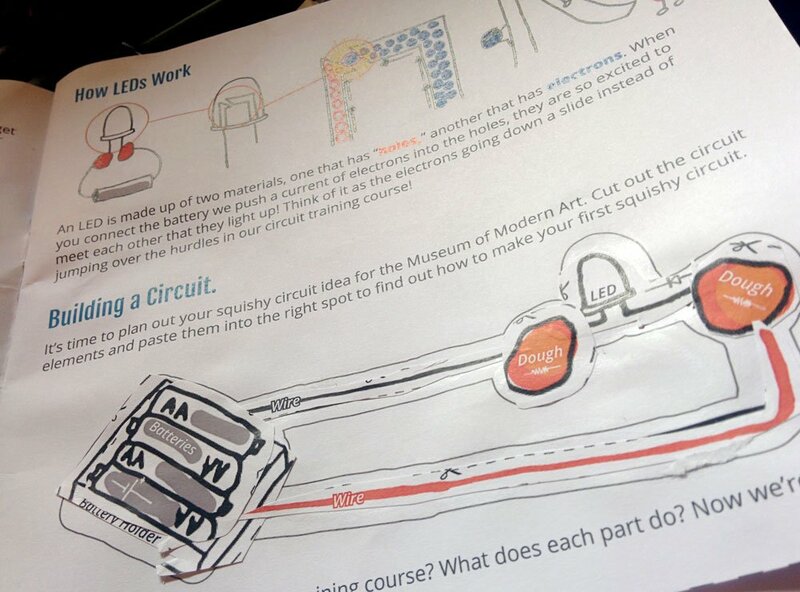 The Museum of Modern Art is working on a new interactive exhibit where patrons can mold their own sculptures and decorate them with bright and beautiful LEDs. The only problem is they can’t seem to get away from a disasterous mess of wires to make it work. Can Rosie help? 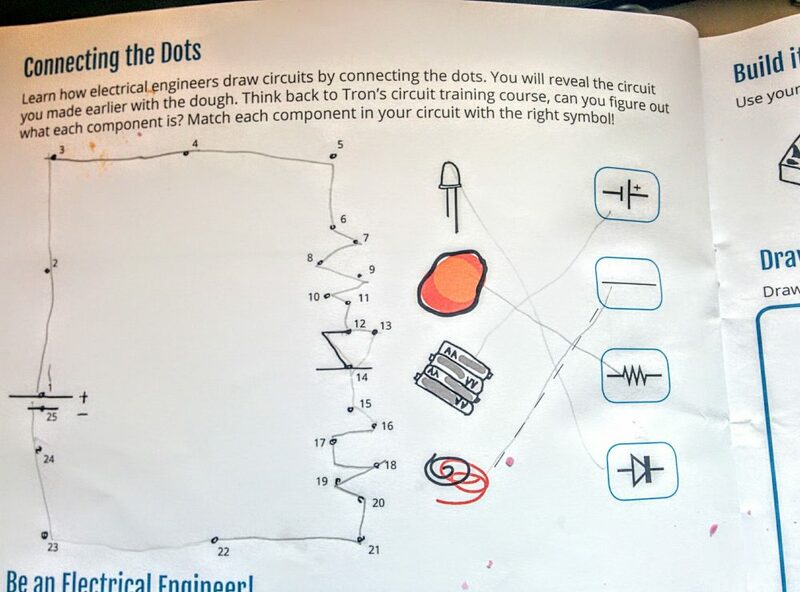 In this month’s lab we investigate circuit building, what makes electrons light up and more! 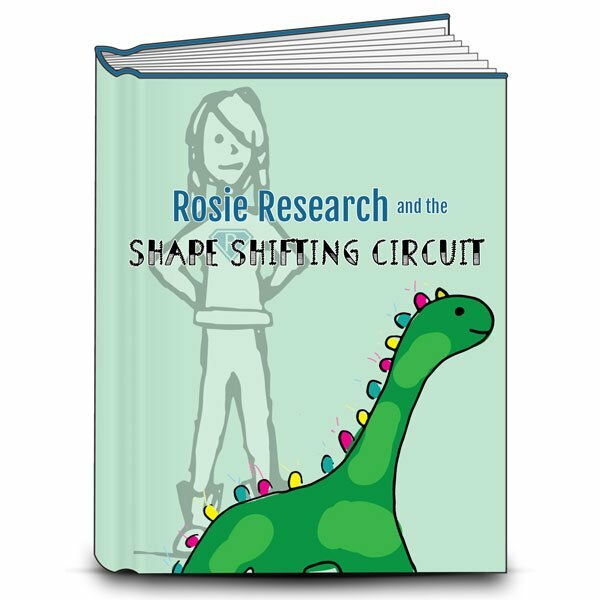 There is one lab book for our Squishy Circuits lab and lots of add on activities to help scale it to your child’s age and interest! Tabloid versions of the labs are available if you want to print the labs on 11×17 paper to make each lab into it’s own folder. 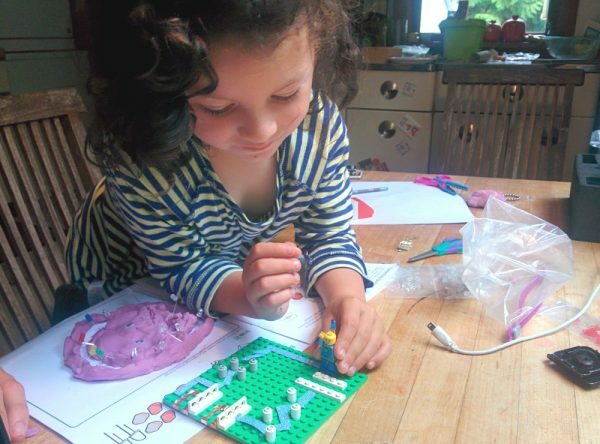 We also have half page sized labs to print on 8.5×11 and fold into a booklet – a format my six year old enjoyed more than the full sized format! 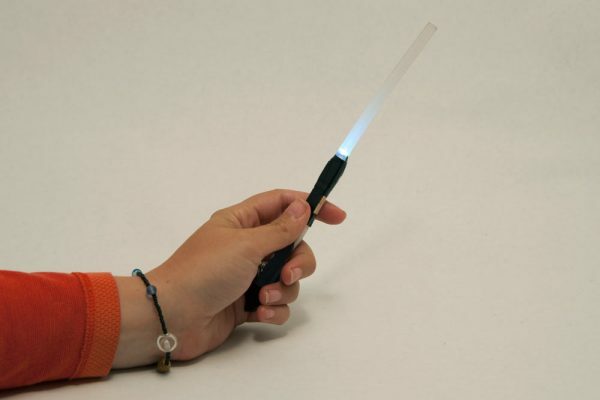 DIY Light Sabers: Make a fun light saber with popsicle sticks, a glue stick, LEDs, copper tape and a button battery! Glowing animals: Investigate light in nature. What makes some animals light up and why? Then make your own light up model of your animal! 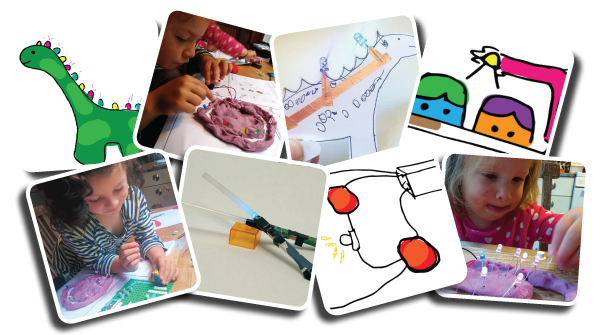 Light up Bronty: Make a light up Bronty like seen in the lab with an easy print and tape circuit activity! There are written parent teacher guides that will give you some quick tips and tricks to troubleshoot issues you might run into, tell you the broad takeaway from the lab, help you brainstorm questions to ask and give you some additional resources! Check out the Parent/Teacher video of Dr. Erica doing the lab here! The scaling guides will help you think of ways to expand on the concepts in age appropriate activities, while the sourcing guides will help you find everything we bought for the lab! 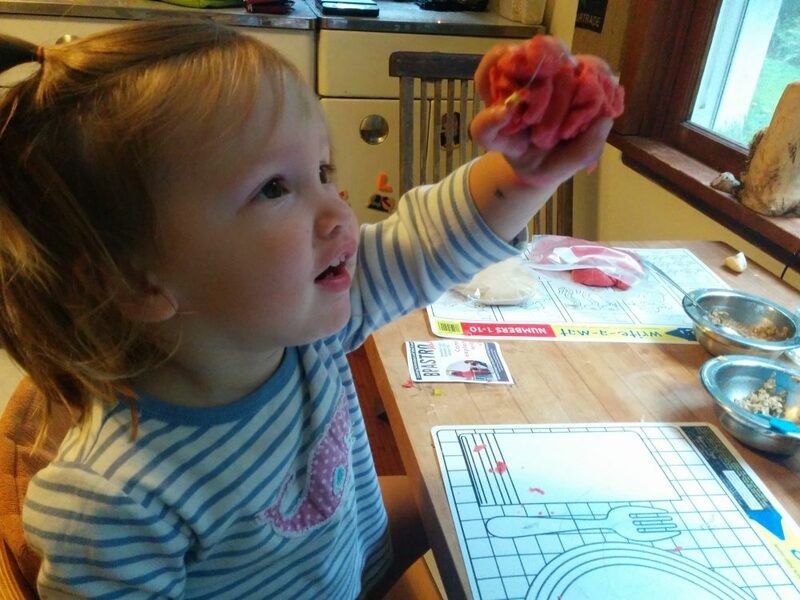 This lab doesn’t need much though, LEDs, copper tape and some fun homemade electrifying playdoh! Lastly there is our In Real Life download. This download will help you connect the concepts we work with in the labs to everyday life. It will help you guide your kids to understanding why optics is important and what the big takeaway of the lab is as well as safety precautions! Learn how birds can stand on power lines, who is building the world’s biggest batter and more!